Nah, not quite. 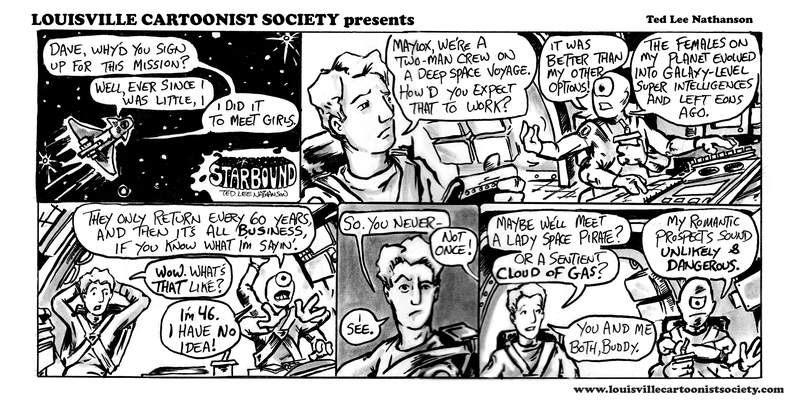 But I am excited about STARBOUND: The Nebulous Agenda, the new long form story featuring our heroes, Dave Newton of Earth Classic and his Malodextorian copilot, Maylox. See these lone wolves get called into action against an alien plot, tangled up with the Galactic Marines, and possibly save the day. When does this story come out, you ask? Not for several months- It’ll be part of the upcoming Louisville Cartoonist Society Bi-monthly anthology series, coming mid next year. More to come on that project. 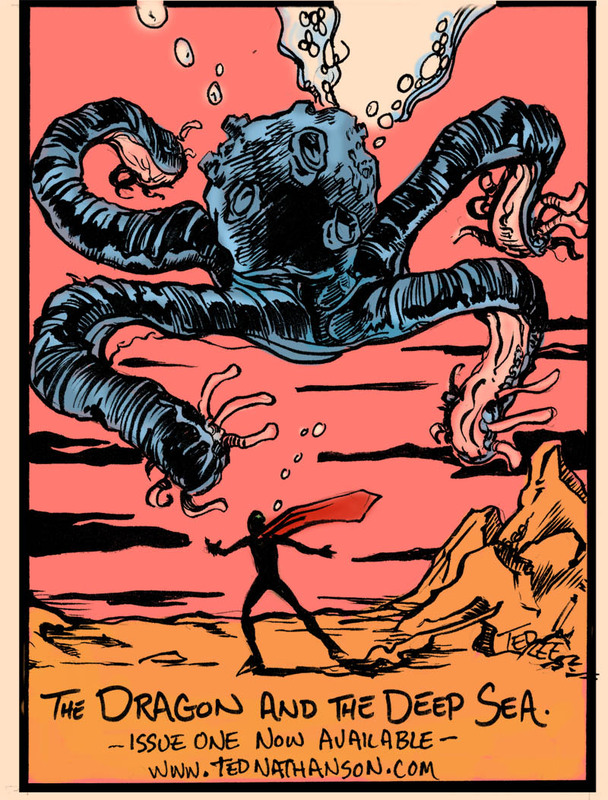 Dragon and The Deep Sea Ad! With thanks to Astonishing Tales‘ Steve Bowman for the shout out in his newest book. 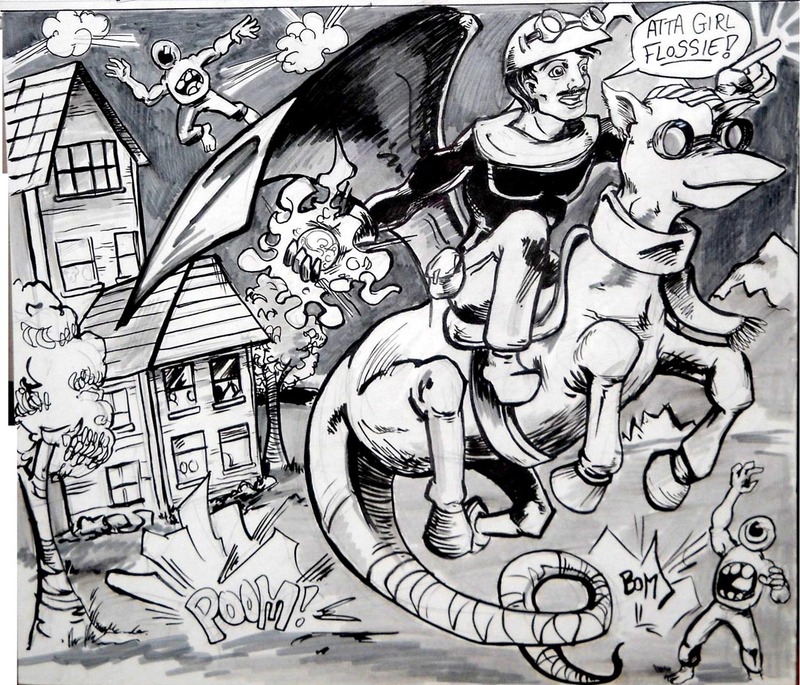 If you haven’t checked this guy’s comics out yet then you’re missing out on the real deal. Check out his site and look for his books all over the place. He and I will be at the Highlands Fest on October 22 selling books and showing art! 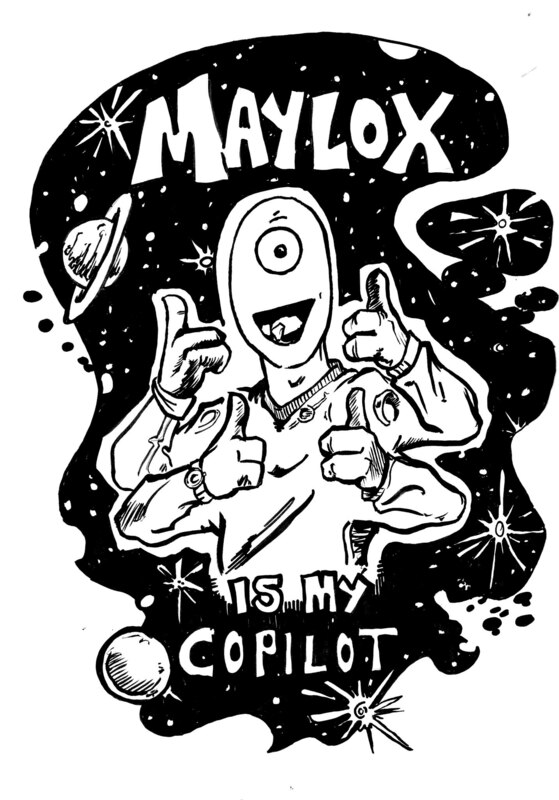 everyone’s favorite Malodextorian Navigation Officer. Coming soon to a t-shirt near you! 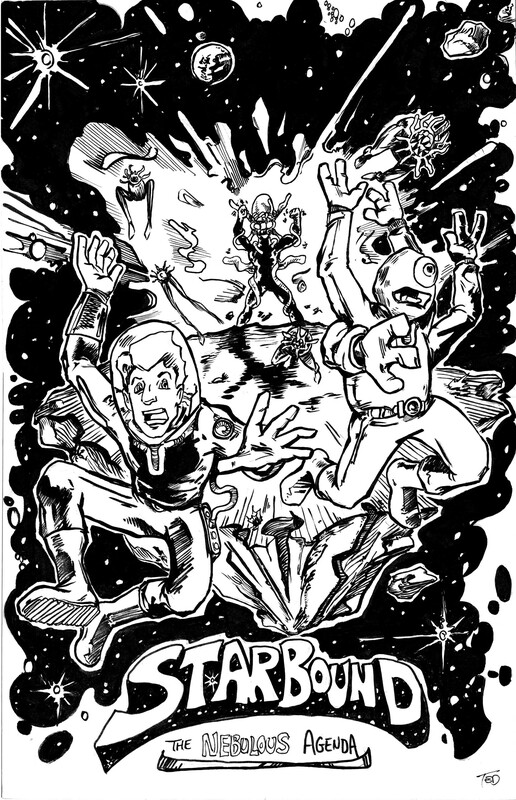 The idea was ‘draw your favorite comic cover,’ which I don’t really have. I do have a few single issue comics that I get misty over- and several runs by favorite artists and writers- but nothing jumped to mind. So I started flipping through my back issues. 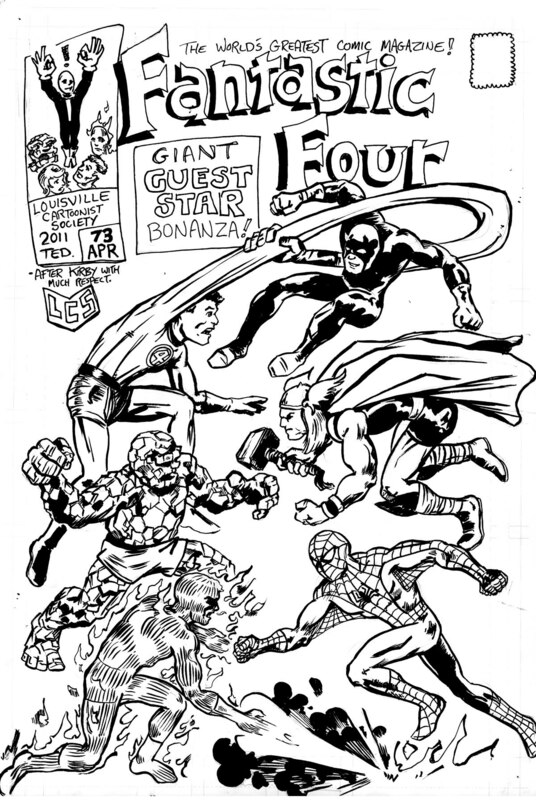 This is the oldest non-repro Fantastic Four issue I have, by Kirby in the middle of his 100+ run with Stan Lee, a epic feat of storytelling that stretched across the 60s and defined what was possible in the Marvel Universe. 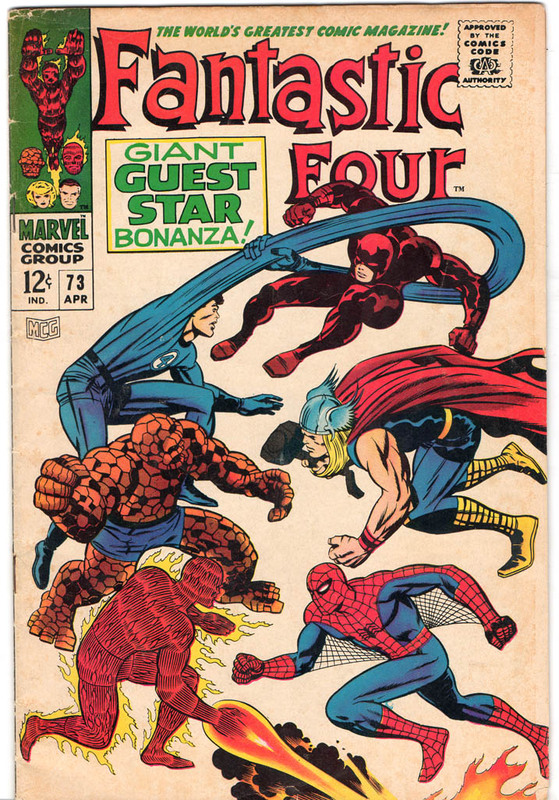 Like this for example: three on three hero fight with the FF vs Spider-man, Thor, and Daredevil. That’s a lot of heroes for 12 cents. 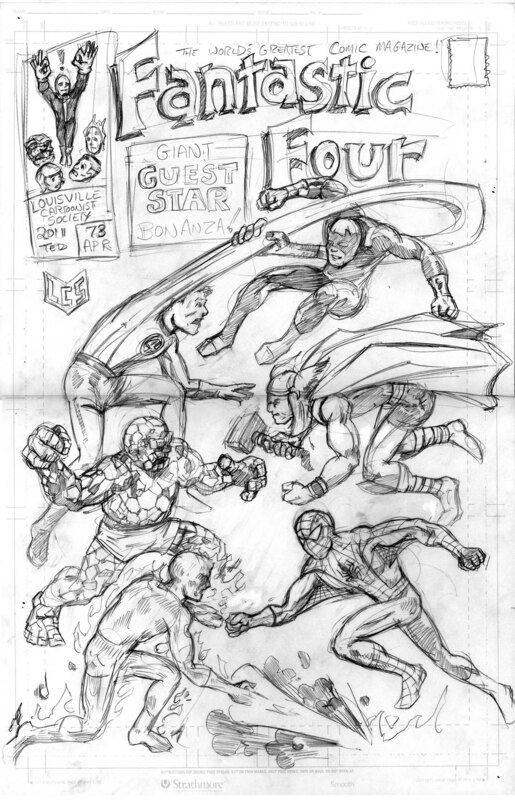 Here’s the pencils-drew this fast and really enjoyed myself. 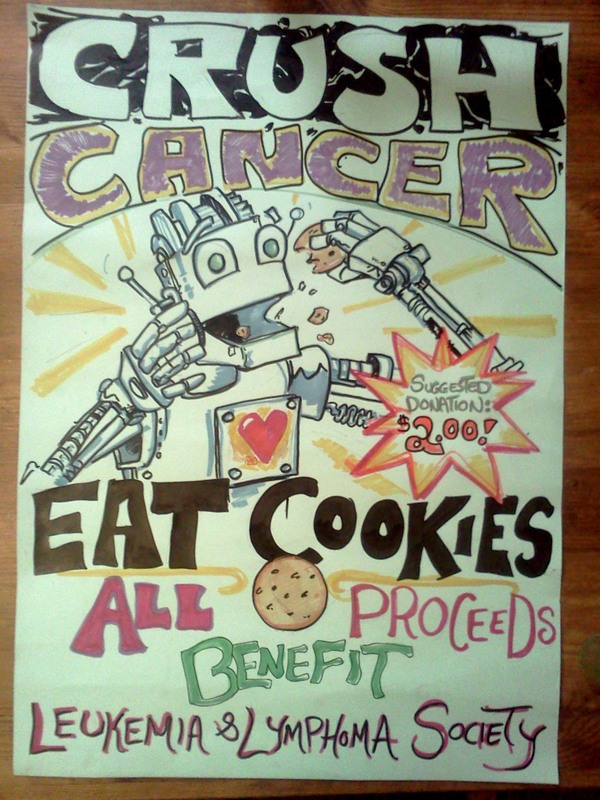 Cookies lovin’ Robots vs. Cancer.